Select an option Best Mom Ever! Best Mum Ever! 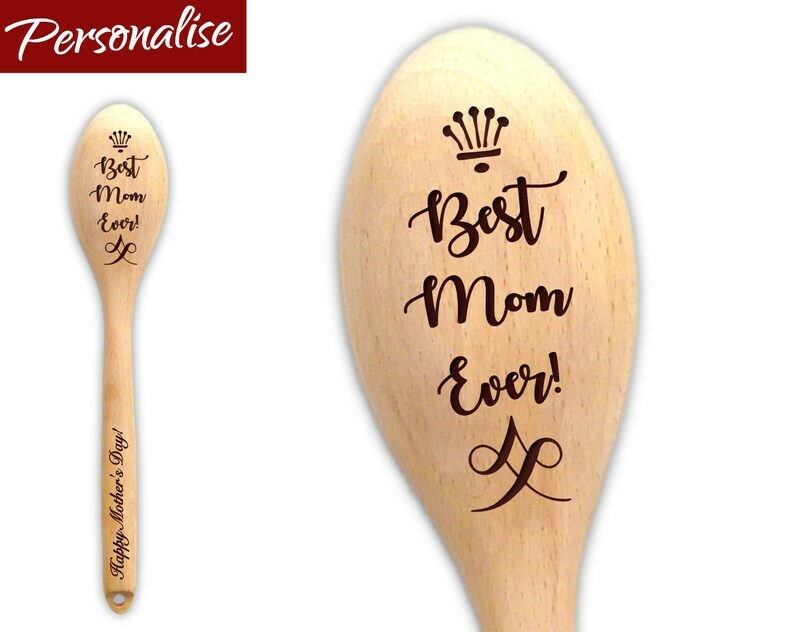 This personalised wooden spoon is perfect for mum's that love baking and/or cooking! 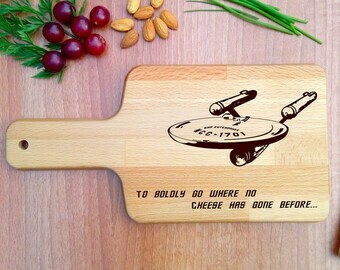 It is a practical keepsake that adds a personal touch to any kitchen creating lasting memories every time it is used! Features the words 'Best Mum Ever!' or 'Best Mom Ever!' 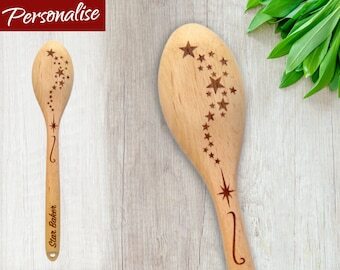 (select spelling preference above) laser engraved into the head of the spoon with option to personalise the handle with any name or short message of your choice in a handscript italic font (please see images for examples). 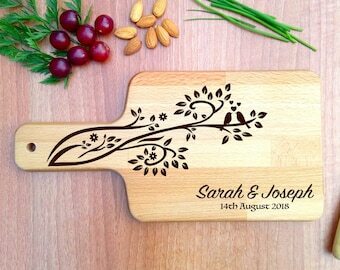 ☆ The design and personalisation is carefully laser engraved into the spoon and finished by hand using a food-safe beeswax and mineral oil coating to help preserve the wood. Please note, as wood is a natural product and all spoons are engraved to order, there may exist small differences in the product pictured and what you receive. Hand wash only.